Fantastic modern 2 bedroom/2 bath, garden and mountain views and bright corner unit with no neighbors across. Private and oversized front patio provides an extension of your living space with the 2nd patio off the kitchen and master. This is one of the best locations in the community. Highlights include brand new walk-in master shower, oversized walk-in closets, stainless appliances, quartz counters, slate centerpiece fireplace and 2 car garage with epoxy finish. Enjoy the conveniences of a luxury hotel in the privacy and ease of a condo that feels like a home. 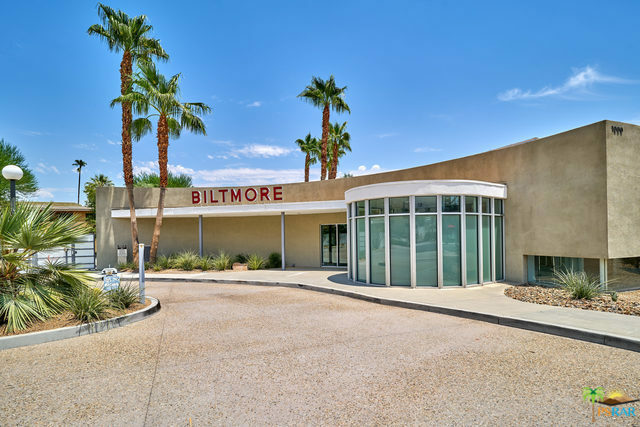 Complex amenities include a stellar club house for private functions, outdoor kitchens to entertain, community fire-pit, doggy stations, 3 pools and 2 spas, poolside cabanas at the main pool, misting system, fitness center and so much more. Close to Smoketree and across the street is Koffi and The Ace Hotel.